At the Winchester District Memorial Hospital on Tuesday, August 21, 2018, Willow Johnston (nee Scott) of Morrisburg, age 96. Beloved wife of the late Roy Johnston. Loving mother of Thelma Hansma (Henry) of Morrisburg and Donald Johnston (Donna) of Carleton Place. Dear sister of Gerald Scott (Lucille) of Chesterville. Willow will be fondly remembered by grandchildren Bobby Winters (Holly) and Shelly Carriere (Sam). She was predeceased by her parents William and Lillian Scott, her daughter Ruth Winters and her sister Maple Marriner. Also survived by great-grandchildren, nieces and nephews. A public graveside funeral service will be held at Spruce Haven Cemetery in Brinston on Wednesday, September 12th at 11 a.m. Donations to the Canadian Cancer Society would be gratefully acknowledged by the family. Online condolences may be made at marsdenmclaughlin.com. Patricia Casselman (nee Bolton) – Peacefully at the Dundas Manor on Saturday, August 25, 2018 at the age of 87. Beloved wife of the late Lorne “Chubby” Casselman. Dearly loved mother of Peter (Mavis), Randy (Shelley) and Debbie (Dwayne). Loved by grandchildren Cheryl, Tony (Mary), Lee (Kristin), Leslie, Lindsay (Ashton) and Elizabeth. Sadly missed by great-grandchildren Lilly, Cody, Joel, Nolan, Riley, Travis, Brady, Spencer and Gavin. Predeceased by her daughter Connie Bolton, son Jeff Casselman and grandson Christopher Casselman. Family and friends are invited to visit at the Winchester Chapel of Hulse, Playfair & McGarry, 472 Main Street, Winchester on Wednesday, August 29 from 6-9 p.m. A Funeral Service will take place in the chapel on Thursday, August 30 at 11 a.m. Burial at Maple Ridge Cemetery, followed by a reception at the Winchester Lions Hall. Donations in Patricia’s memory may be made to the Dundas Manor Activity Fund or the Alzheimer’s Society. After a brief illness with cancer, we are deeply saddened to announce the passing of Doug Wilson on Saturday June 30, 2018, age 83 of Winchester. Predeceased by his beloved wife Myrna (Quinn). He’s lovingly remembered by his 3 daughters Rhonda Cinnamon (John Dumoulin), Vicky Wilson and Heather Gardiner (Barnaby Smith). Cherished Pa to Joshua (Eva) and Jacob (Becky) Cinnamon and great-grandchildren Noah, Avery; Alayna, Olsen and Ariah Cinnamon. Dear brother of Lois (Jack) Smith, the late Jack (Evah) and his twin brother the late Donald (Donna) Wilson. Fondly remembered by many nieces and nephews. Cinnamon, Norma (nee Guy)- Passed away peacefully on Saturday, May 12, 2018 at the Dundas Manor in her 92nd year. Mother of Nelda (Dalton) Gow of Morrisburg, Donna Byers of Crysler, James of Morrisburg, Linda (Tom) Sirvage of Kemptville, and Glenn (Susie) of Chesterville. Survived by 19 grandchildren and 34 great-grandchildren and many nieces and nephews. Predeceased by her husband Donald, son Lyle, grandson Mark, great-grandson Kaden, and her siblings Arthur, Orvil, Karl, Gordon, Ella Davidson, Dwight, Howard, Olive Summers, and Ray. Family and friends are invited to visit at the Winchester Chapel of Hulse, Playfair and McGarry. 472 Main St., Winchester, on Thursday, May 17 from 12 p.m. until the time of the Memorial Service at 2 p.m. Interment to follow at Ormond Cemetery. Donations made in Norma’s memory to the Dundas Manor, Ormond Cemetery or the charity of your choice are appreciated. LAROSE (Read), Jean Isabel – Passed away peacefully at home on Ault Island, Ontario, surrounded by her loving family on Wednesday, September 20, 2017 at the age of 93. Beloved wife of the late Gordon LaRose. Loving mother of (the late) Peter, and John (Leslie) and Robin. Proud grandmother of Daniel, Jenna, and Oliver. She will be sadly missed by many family and friends, especially her island community. Inurnment will take place in Orillia, Ontario at St. Andrew’s-St. James Cemetery at a later date. In lieu of flowers, donations can be made to the Canadian Wildlife Fund or a charity of the donor’s choice. HUME, Nettie Marguerite Peacefully on Sunday, December 31, 2017, Nettie Hume passed away at the age of 84. Beloved wife of the late John R. Hume. Loving mother to Allen (Phyllis), John (Ellie), and Jayne (Irvin Heiber). Proud “Nanny” to grandchildren Alanna (Mike Thompson), Jack Hume, Erica Heiber and Gregory Heiber, and great-grandchildren Bodhi and Gracie Thompson. Daughter of the late Allan and Margaret Kerr. Nettie is survived by sisters Betty James (late Norm) and Martha Campbell (late Ewart) and her sister-in-law Helen Kerr. Predeceased by brothers Henry, Arthur, Donald, Douglas and sister Elaine Parnell. She will be fondly remembered by many nieces and nephews and the Hume family. Nettie’s family would like to thank the staff of Forest Hill Long Term Care Centre in Kanata, for taking such wonderful care of her. Family and friends are invited to pay their respects at the Daley Family Funeral Home, 6971 Bank St., between Scrivens Dr. and Metcalfe corner, on Friday, January 5, 2018 from 12-1 p.m. Memorial service to follow in the chapel at 1 p.m. Donations made to the Alzheimer Society would be greatly appreciated by the family. William “Lindsay” Stewart At the Dundas Manor Nursing Home in Winchester on Friday, January 6, 2017, Lindsay Stewart of Chesterville, age 87. Loving husband of Iva Stewart (nee Byers) for 65 years. Loving father of Will of Cornwall, Beverly Merkley (Doug) of Summerstown, Elaine Berry of Winchester, Neil (Sharon) of Shanly, Judy Willems (David) of Morewood, Brenda Stewart (Gerard Furlong) of Ottawa and Sandra Freeman (Shane) of Winchester. Lindsay will be fondly remembered by 11 grandchildren, 17 great-grandchildren and 5 step, great-grandchildren. Predeceased by his son-in-law Paul Berry. Also survived by nieces and nephews. Rest in Peace David Lochead. You will be missed by many. Passed away peacefully on January 8, 2016 in his 87th year, after a valiant and extremely courageous battle with cancer. David has left us to be reunited with the true love of his life, best friend, and wife of 50 years, Ann (nee Dalgleish), and his son Bryan.. Dad will be deeply missed by his children, Ian (Anita), Tracey Cain (Chris), Barrie Tober (Jay), Carrie Hilborn (Scott) and his daughter-in-law Pat. Gumpa will be forever cherished and adored by his 18 grandchildren and 6 great-grandchildren. Uncle David will be fondly remembered by his 9 nieces and nephews. Predeceased by his parents William and Evelyn (nee Smith) and his brother Arthur (Joan). David was admired and deeply respected by all who met and knew him. Visitation took place on Friday, January 15, 2016 at 2 p.m. at St. Paul’s Presbyterian Church, 517 Main St W, Winchester, Ontario immediately followed by a Memorial Service at 3 p.m. In lieu of flowers, donations to the Canadian Cancer Society , Manotick Kiwanis Club or a charity of your choice in David’s memory would be greatly appreciated. Margaret Johnstone (nee Hutt) of Inkerman passed away peacefully at Winchester District Memorial Hospital on Sat., Aug. 29, 2015. She was 96. She was the beloved wife of the late Ralph Johnstone. She was the loving Mom of Danny (Susan), Lynn (Brian) Telford, Norma (Aldo) Pugliese, son-in-law Fred Barr, and the late Ron Johnstone and Sandra Barr. She was the cherished Grandma J. of 11 grandchildren and 23 great-grandchildren. Margaret was the dear sister-in-law of Kay Hutt. She was predeceased by several brothers, and a sister. She is also survived by many nieces and nephews. Margaret rested at Byers Funeral Home in South Mountain (613-989-3836) on Mon., Aug 31 from 2 to 4 and 7 to 9 pm. The funeral service was held at the Mountain Township Agricultural Hall in South Mountain on Tues., Sept. 1 at 11 am followed by interment at Maple Ridge Cemetery in Chesterville. By family request, donations may be made to the Winchester District Memorial Hospital Auxiliary, Knox Presbyterian Church in Mountain, or the Nor-Dun Seniors’ Support Centre. Cecil Simpson of Winchester passed away peacefully at Winchester District Memorial Hospital, surrounded by family, on Sun., Dec. 28, 2014, in his 89th year. He was the beloved husband of Margaret Simpson of 64 years. He was the loving father of Wayne (Lyne) of L’Original, Bruce (Elaine) of Greely, and Stuart of Toronto. Cecil was the dear brother of Murray (Lois) of Cobden. He will be fondly remembered by his grandchildren, Chad (Tara Lynn), Trevor (Kate), William (Lisa), Cooper, Stuart, and Alexandra, and by his great-grandchildren, Spenser, Brett, and Charlotte. He was predeceased by his brothers, Donald and John. Family and friends may pay their respects at the Daniels Funeral Chapels Inc., 472 Main St., Winchester on Thurs., Jan. 1 from 2 to 4 and 7 to 9 pm. The funeral service will be held in the chapel of the funeral home on Fri., Jan. 2 at 11 am followed by interment at Maple Ridge Cemetery in Chesterville. Donations may be made to Winchester District Memorial Hospital (www.wdmh.on.ca), St. Paul’s Presbyterian Church, Winchester, Ont. K0C 2K0, or the Ottawa Heart Institute (www.ottawaheart.ca). 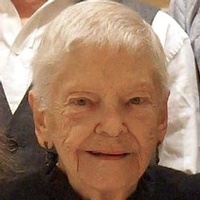 Doris Folkard – Nov. 19, 2014. She was 80. Doris Folkard of Winchester passed away peacefully at Carefor Hospice Cornwall on Wed., Nov. 19, 2014. She was 80. She was the beloved daughter of the late Arthur Folkard and the late Violet Wyatt. Doris was the dearly loved sister of Donald Folkard (Shirley) of Vankleek Hill, and the cherished aunt of Jeffrey (Karen), Janet Hatfield (Jeffrey), Michael (Susan), and their families. She will be fondly remembered by her many cousins. She will be sadly missed by her dear friend, Marlene Droppo. The funeral service was held on Mon., Nov. 24 at St. Paul’s Presbyterian Church in Winchester, with the family receiving condolences at 10 am until the time of the service at 11 am. Interment at Springhill Cemetery in Metcalfe will be held in the spring. In memoriam donations to Carefor Hospice Cornwall, 205 Amelia St., Cornwall, Ont., K6H 3P3, or to St. Paul’s Presbyterian Church, 517 Main St. W., Winchester, Ont., K0C 2K0, would be appreciated. The funeral arrangements were entrusted to Hillcrest Funeral Home, 151 Bond St., Vankleek Hill, Ont., K0B 1R0 (613-678-2002). Surround by family at Winchester Hospital on Thursday, October 23, 2014, Mason (Johnny) Durant of Winchester in his 85th year. Beloved husband of Beulah Sullivan. Much loved father of Nancy (Brian) Williams, Donna (Barry) Parker, Peggy (Earl) Pyper, John (Debbie) Peter (Glenna), Susan (Jeff Derue and Angie (Steve) Barnett. Cherished broth of Audrey Ducolon and predeceased by his brothers and sisters. Fondly remembered by his 12 grandchildren and 4 great grandchildren. Anskje “Ann” Leyenaar – April 2, 2014. She was 93. 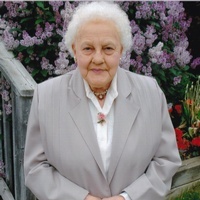 Anskje “Ann” Leyenaar, formerly of Winchester and Chesterville, passed away peacefully at Woodland Villa in Long Sault on Wed., April 2, 2014. She was 93. Anskje VanderPlaats was born on Nov. 11, 1920 in Friesland, The Netherlands. As a youngster, she lost her father to heat stroke, and was raised by her mother and step-father, Dirk Venema. She finished elementary school, and then started working for a farmer and his wife, boarding with them, and working long hours for a meagre wage. During these years, she grew in her Christian faith and knowledge of the scriptures, which carried her through some difficult years. In her late teens, Anskje met Klaas Leyenaar from Wons, Friesland. They were married on May 19, 1943. In March of 1950, they immigrated to Canada with their three young children. Three more children would be born in Ontario. Their first home was in Toyes Hill, and in 1956, they purchased a farm west of Winchester Springs. In 1979, they retired from full-time farming and moved to Winchester. Anskje was a hard worker, and enjoyed gardening and tending houseplants. 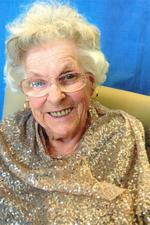 Her hobbies included sewing, knitting and crocheting, and playing Scrabble and dominoes. She was active in church activities, and mission circles, supporting many Christian ministries. She is survived by her children, Maryke (Piebe) DeJong of Chesterville, Jacob (Lillian) of London, Stuart (Adrie) of Merrickville, Peter (Karen) of Winchester Springs, Annie (Roy) Burrage of Kitchener, and Clarence (Darlene) of Newmarket. She is also survived by siblings Florence Postma of The Netherlands, Fetze (Clara) Venema of Brockville, and Sybren Venema of The Netherlands. She will be fondly remembered by 17 grandchildren, and numerous great-grandchildren. She was predeceased by her husband, Klaas, and her brothers, Hessel, Fekke, Marten, and Piet Venema. She is also survived by nieces and nephews. The memorial service, conducted by Rev. Bruce Kemp, was held on Sat., April 5 at Marsden and McLaughlin Funeral Home in Williamsburg. Interment at New Union Cemetery in Williamsburg followed the service. The pallbearers were grandsons Matt, Chris, Phil, and Nikolas Leyenaar; and Siebren and Carl DeJong. Donations to the Canadian Bible Society, or the charity of your choice will be gratefully acknowledged by the family. Online condolences may be made at www.marsdenmclaughlin.com. Peacefully at Garden Villa, Chesterville on Monday, February 24, 2014, Ileen robinson of Winchester in her 82nd year. Beloved wife of the late Rueben Robinson. Loving mother of Joan (Terry) Greiple of Grovesdate, alta. Jean (Lyle) McCellan of West Locke, Alta. and Jamie of Winchester. Fondly remembered by her 6 grandchildren and 4 great grandchildren. Peacefully at the Dundas Manor on Sunday, March 11, 2012. Art Kerr in his 86th year of Mountain. Beloved husband of Helen Clark. Loving Dad of Jean Knowles (Paul) of Lanark, David (Robbin) Kerr of Mountain and Kathy Kerr-Moore (Keith) of Mountain. Chirshed Poppy of Steward, Stacey, Ashley, Julie-Anne, Holly, Kirstyn, and Karlyn. Dear brother of Betty James, Martha Campbell, Nettie Hume, Don Kerr and predeceased by Henry, Douglas, Elain Parnell and his parents Allan and Margaret Kerr. Uncle of many neices and nephews. Bruce Joseph Pelkey, September 10, 2010 – Age 52 of Winchester. Peacefully passed, surrounded by his family after a courageous battle with cancer on Friday, September 10, 2010. Lillian Margaret Simzer (nee Cronin), formerly of Mountain, passed away at Dundas Manor on Thurs., Oct. 23, 2008. She was 84. 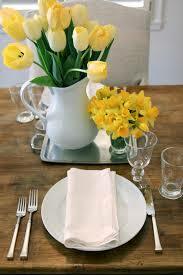 She was born in Gananoque on April 7, 1924 to the late Michael Cronin and the late Margaret Mary Carkner. She was the wife of the late Arnold Felix Simzer, whom she married on Aug. 19, 1940 in South Mountain. She was the mother of the late Norman (Betty) Shirley, Doug, Henry (Lana), Libby (Bruce) Pelkey, Mike (Jody), and Margaret (Harry) Castle. She was the grandmother of 15 grandchildren and 22 great-grandchildren. She was the sister of Nora, Grace, Mary, Anna, Patsy, and the late John, Ted, and Mae. She was the former kitchen supervisor at Winchester District Memorial Hospital. She was a member of WMS of the Presbyterian Church in Mountain, and was a member of Knox Presbyterian Church in Mountain. The funeral was held in the chapel of the Byers Funeral Home in South Mountain on Mon., Oct. 27 with Rev. Sameer Kandalaft officiating. The pallbearers were sons Doug, Henry, and Mike Simzer; sons-in-law Harry Castle and Bruce Pelkey; and Ed Rose. 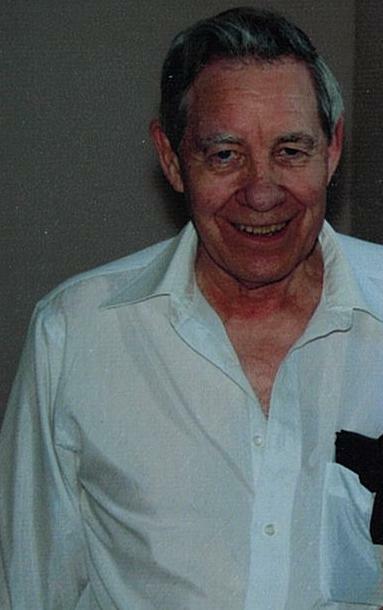 Hugh ‘Donald’ Wilson – Jan. 22, 2006. He was 71. Don Wilson of Winchester passed away unexpectedly in Ottawa on Jan. 22, 2006. He was 71. Don was born in Winchester on Dec. 30, 1934, along with his twin brother Doug, to the late Hugh and Violet Wilson (nee McCourtie). Don remained a resident of Winchester all of his life. He worked for over 35 years for the federal government as a cartographer and was a life long member of St. Paul’s Presbyterian Church. Don is survived by his wife Donna Wilson (nee Allison), his two daughters, Karen (Stephen MacDonald) and Alayne (Tom Hicks) and by his grandchildren, Adam, Aaron, Kathryn, and Kaleb MacDonald, and Tommy and Rebecca Hicks. He will be sadly missed by his brother Jack (Evah), his sister Lois (Jack Smith) and by his twin brother Doug (Myrna). He was also dear uncle to many nieces and nephews. Visitation was held at the Winchester Funeral Home on Jan, 24, 2006. The funeral service was held at St. Paul’s Presbyterian Church on Jan. 25 at 11:00 am. Rev. 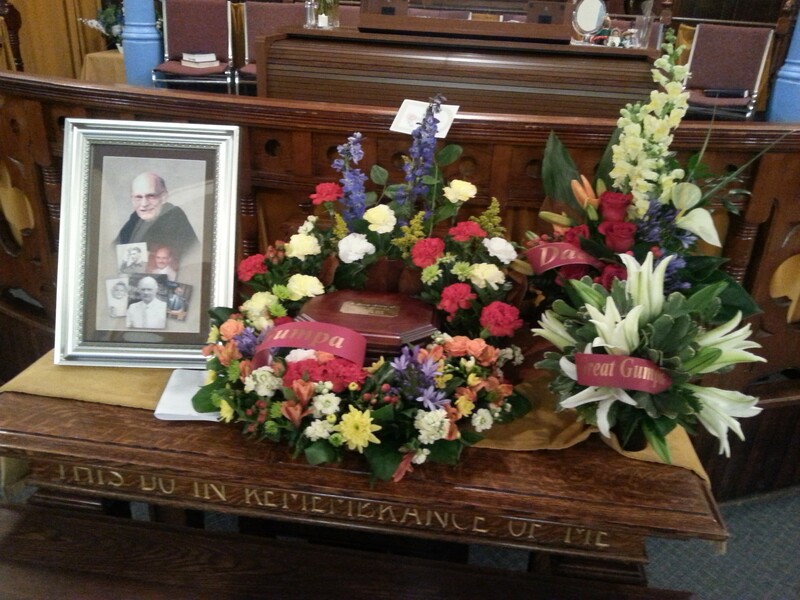 Dr. Floyd McPhee delivered a fitting tribute to a full church remembering Don as a good faithful, generous man. Burial followed at Maple Ridge Cemetery in Chesterville. A reception was held at the church hall and was enjoyed by all. Pallbearers were Bill Sherwood, Jorris Zubatuk, George Edwardson, Bob Geggie, Neil Gardiner, and John Dumoulin. Donations in memory of Don may be made to St. Paul’s Presbyterian Church. Evelyn Beatrice Walker – Sat., Dec. 8, 2007 in her 97th year. Evelyn Beatrice Walker passed away peacefully at Dundas Manor in Winchester on Sat., Dec. 8, 2007. She was predeceased by her parents Edith Jane Dillabough and Philip Robinson Walker, and a brother Donald Dwight Walker. She is survived by her cousins Muriel Cooper; Vivian, Winston, Robert, Brenda, Megan and Chelsea Martineau; and Shirley Chapman. She attended Winchester Springs public school, Winchester High School, and Ottawa Normal school. Returning to Ottawa she worked in the external affairs department of the federal government. In 1943 she entered the Presbyterian Missionary and Deaconess Training School (Knox College) in Toronto, graduating on April 16, 1946. After graduation she worked in Toronto and Sarnia, then on to Regina, Sask. In 1952 she moved to Truro, Nova Scotia. While she was there, St. Paul’s Presbyterian Church in Truro was built. She was invited back for its 40th anniversary as a special guest. She spent some time in Flin Flon and Cranberry Portage, Man., New Brunswick, and St. John’s, Newfoundland. In 1968 she retired and moved home to Winchester Springs to live with her brother Donald on the farm. In 1981 Donald and Evelyn moved to Winchester. As an active member of St. Paul’s Presbyterian Church in Winchester, she was honoured with a celebration to mark 50 years as a deaconess in 1996, and again in 2006 for 60 years in appreciation for her contribution to many areas of church work after retirement. The funeral service will be held on Sun., Jan. 6, 2008 at 2 pm at St. Paul’s Presbyterian Church in Winchester, followed by a reception in the church hall. A special thanks to her good friends and neighbours for all their help. Thanks to Hillcrest Haven Rest Home, and Dundas Manor staff for all their kindness during Evelyn’s stay. Thanks also to Daniels Funeral Chapels in Winchester. For those wishing, donations may be made to St. Paul’s Presbyterian Church in Winchester or Winchester District Memorial Hospital. Suddenly at home on Wednesday, May 31, 2006, Orma Stoodley of Wincherster in her 85th year. Beloved wife of the late Aaron Stoodley. Dear mother of Lois (Dale Presley) of Ottawa, Helen (John McDonald) of Vernon, Doris (Garry Baker) of Winchester, John (Debbie) of Winchester and Darlene (Jeff Broad) of Kingston. Loving grandmother to Allison (Wayne Martins); Jason Presley (Amy Allaire); Adam McDonald (Jennifer); Darren McDonald (Julie); Amy and Matthew Baker; Tim, Melissa and Jonathan Stoodley; and Erin and Kaitlyn Broad. Great-grandmother of Kristian and Avery McDonald. Sister of Bruce Campbell (late Mary), sister-in-law of Pearl (late Mac Carkner), Betty (late Harold Porteouse), predeceased by brothers-in-law Gilbert Stoodley and the late Milton Stoodley (late Muriel). H. Aaron Stoodley – June 17, 1916 – April 2, 2005 – He was 88. H. Aaron Stoodley of Winchester, passed away peacefully at Dundas Manor on April 2, 2005. He was 88. He was the beloved husband of Orma (Campbell). He was the dear father of Lois (Dale Presley) of Ottawa, Helen (John McDonald) of Vernon, Doris (Garry Baker) of Winchester, John (Debbie) of Winchester and Darlene (Jeff Broad) of Kingston. He was the loving grandfather to Allison (Wayne Martins); Jason Presley (Amy Allaire); Adam McDonald (Jennifer); Darren McDonald (Julie); Amy and Matthew Baker; Tim, Melissa and Jonathan Stoodley; and Erin and Kaitlyn Broad. He was great-grandfather of Kristian and Avery McDonald. He was brother of Pearl (late Mac Carkner), the late Gilbert and the late Milton (late Muriel). He was brother-in-law of Betty (late Harold Porteous), and Bruce Campbell (late Mary). Family and friends are invited to pay their respects at the Duncan Funeral Home, Chapel and Reception Centre, 6971 Bank Street (formerly Highway 31, between Scrivens Drive and Metcalfe corner) on Wednesday from 2 to 4 and 7 to 9 pm. The funeral service will be held in the Chapel on Thursday at 11 am. There will be a spring interment at Spring Hill Cemetery. Ronald Gordon Workman, a man loved dearly by his family, friends and community, passed away on Jan. 25, 2004. He was 73. He was a lifetime resident of Winchester and contributed much to the community over the years. Born June 29, 1930, he was the second son of Fern and Eva Workman, and younger brother of Reg. He attended Winchester Public School, Winchester High School, and at age 16, joined the family newspaper business, the Winchester Press. Following his father’s untimely death in April of 1957, he and his brother Reg owned and operated the newspaper until it was sold in 1981. He married Phyllis MacDonald on July 23, 1955. He was proud to be a “Winchester boy” and gave much of himself and his time to the community. He touched many lives through his kindness and caring and his dedication to making Winchester a better place to live. He served as a member of the Winchester Volunteer Fire Department, as a member and as chairman of the Winchester Public School Board, as president of the Winchester 100 Club, as an active member of the Winchester Chamber of Commerce, as chairman of the Santa Claus Parade Committee, and he was involved in public relations with the Ottawa Winter Fair Board and the local unit of the Cancer Society. He also led the community park board in 1972 during the building of the Winchester Community Centre, the swimming pool and the lighted baseball diamond facilities. He served as deputy reeve on the Winchester Village Council from 1977 to 1978. He continued throughout his lifetime to promote and support the Winchester District Memorial Hospital, an area project two of whose pioneers were his father Fern and father-in-law Walter MacDonald. He served 12 years on the hospital board, taking roles in public relations, finance and management. As chairman of the fundraising committee in 1985, he was proud to officiate at the opening of the new laboratory. His efforts to support the hospital continued until last spring when he helped recruit canvassers for the most recent expansion at the hospital, the Renewing the Vision Campaign. 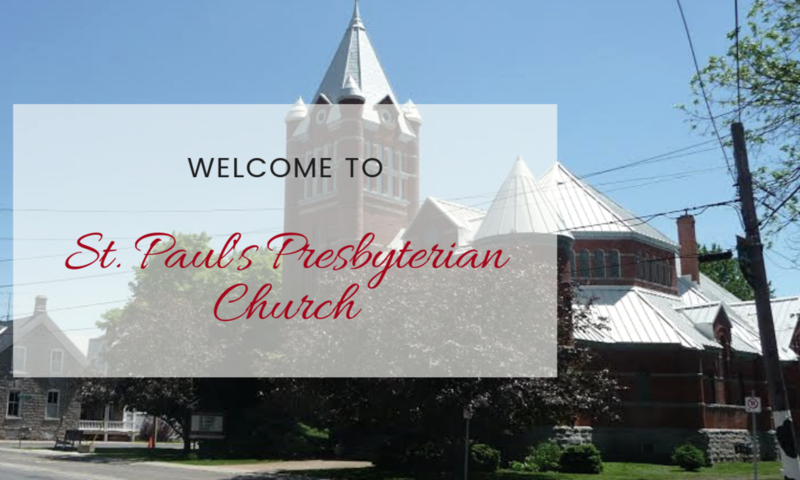 A man of great faith, he was a lifelong member of St. Paul’s Presbyterian Church and served as a member of the board of managers and as chairman. He always supported the church and believed deeply in its role within the community. He was also a member of the Masonic Order. 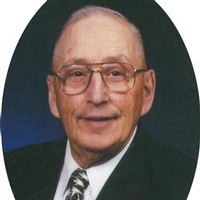 He was an avid sportsman, playing softball for the Winchester senior softball team from age 13 to 27, and he enjoyed the many successes of the well known Winchester Royals Fastball Team, coached by the late Cy Helmer. He was passionate about hockey and played through the minor leagues to the Winchester Juniors, and even played two games with the famous Inkerman Rockets before an injury forced him to retire. He later went on to referee in the junior and intermediate leagues. He was one of the first boys to join the First Winchester Scout troop in 1945, where he attained status as a first-class Scout and later served many years as Scout master. He was an active member of the Winchester Curling Club from the age of 16, until last winter. Golf, bridge, fishing, hunting and summer at the cottage on the St. Lawrence were other fond pastimes. Throughout his life, he was well known for his singing talent, which he shared many times at weddings, church services, anniversaries and strawberry socials. Many remember his songs during war time promoting the sale of Victory Bonds. A dedicated family man, loyal friend and a committed community member, he will be sadly missed by family and friends. He is survived by his beloved wife Phyllis (MacDonald); son Bill (Ginette); daughter Kate Workman-Delage (Laurent); and adored grandchildren Michael and Andrew Workman, and Elliot and Victor Delage. He was brother of the late Reg Workman. He is survived by sister-in-law Moyra Workman; brothers in-law and sisters-in-law Lorna and Eileen Cunnigham (MacDonald), and Les and Glenyce MacDonald; mother-in-law Laura MacDonald; and many nieces, nephews, great-nieces and great-nephews. Michael Workman, Stephen Workman, John Blaine, Matthew Workman, Jeff Cunningham and Water MacDonald. Donations to the Winchester District Memorial Hospital for palliative care or to the Dundas County Hospice in memory of Ron would be appreciated by the family. Ronald Thomas Johnstone of Niagara, formerly of Winchester, died quietly and peacefully with his sons by his side on July 3, 2003. He was the son of Margaret Johnstone and the late Ralph Johnstone of Inkerman. He was loving father to Brad (Holly) Johnstone of Thorold, Adam (Ruth) Johnstone of Niagara on the Lake, and Ryan (fiancee Rebecca Greeniaus) Johnstone of St. Catharines. He was grandfather of Arianna Johnstone; and Jesse and Taylor Allen. He was brother to Sandra (Fred Barr) of Pompano Beach, Florida; Danny (Susan) Johnstone of Inkerman; Lynn (Brian Telford) of South Mountain; and Norma (Art Pugliese) of Nepean. He will be sadly missed by many nieces, nephews, cousins and friends. Mr. Johnstone was born on Sept. 22, 1941 in Winchester. He first started his career at the Royal Bank of Canada in Winchester and was then transferred to the Royal Bank in Frobisher Bay, N.W.T. in 1969 to manage the most northerly branch in Canada. He went on to Grimsby, and then Sarnia to open and manage a new branch. By 1974 he chose to leave the Royal Bank, and began a career in farm machinery with Acres Equipment until he decided to open his own company, Ron Johnstone Equipment, Ltd. He was a fun-loving man and a dedicated loving father who will be missed by all. The family would like to express their appreciation to all those who helped take care of Ron at Winchester District Memorial Hospital (WDMH) including Dr. Burke, the Orchard View Living Centre and the Nimigon Retirement Home. The Johnstone family welcomed visitors at the Winchester Funeral Home on July 6. 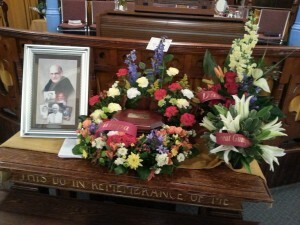 The funeral service was held in the chapel on July 7 with Rev. Ian Johnston officiating. The pallbearers were Gord Stewart, Dwayne Cinnamon, Leroy Empey, Edwin Duncan, Dave McIntosh and Rolf Zersch. Interment followed at Maple Ridge Cemetery in Chesterville. If so desired, expressions of sympathy may be made to the WDMH Auxiliary. Peacefully at Dundas Manor, Winchester, Ontario on Sunday, April 8th, 2001 in her 93rd year. Daughter of the late John and Isabella (Johnston) MacCourtie. Wife of the late Hugh Stanley Wilson for 45 years. Dear mother of John (Evah Riddell) of Nepean, Lois (Jack) Smith, Douglas (Myrna Quinn), and Donald (Donna Allison) all of Winchester. Lovingly remembered by 13 grandchildren, 24 great-grandchildren and one great-great-grandchild. Violet was a long time member of St. Paul’s Presbyterian Church (Winchester) and it’s organizations and was the organist there for 23 years. A 25 year member of the Eastern Star and honoured as pianist there after many years. Also a long time member and pianist for the Winchester women’s institute and the Winchester Sr. Citizens. In Ottawa General Hospital on June 14, 2000, Duncan Rae Munroe of Winchester – formerly of R.R. #1 Inkerman. Born at Moose Creek, Ontario, Stormont County. Son of the late Ernest D. Monroe and Margaret Mac Rae. Fondly remembered by several cousins. The memorial Service for Rae was held at St. Paul’s Presbyterian Church, Winchester on Sunday, June 18, 2000. Internment of the ashes took place on Monday, June 19th, 2000 in Maple Ridge Cemetery. Verna Riddell (nee Nephew) December 23, 1914 – September 23, 1992 in her 78th year. In hospital on Wednesday, September 23, 1992 Verna Nephew of Winchester in her 78th year. Dear wife of the late George Riddell. Dear mother of Marian (Mrs. Orval Lewis) of Fort Qu’Appelle, Saskatchewan and Jim (Charlene Gallinger) of R.R.#2, Ingleside. Fondly remembered by eight grandchildren, Bryan Elliott of Morrisburg, Heather (Dwayne Pemberton) of Winchester, Eva (Dennis Dejardins) of Elma, Allan Elliott (Valerie Cameron) of Dunbar, Karen (Douglas Bradford) of Smiths Falls, Calvin Riddell and Victoria Riddell of R.R.#2 Ingleside. and five great grand-children, Dennis and Emily Desjardins, Craig and Tamara Pemberton and Gillian Bradford.